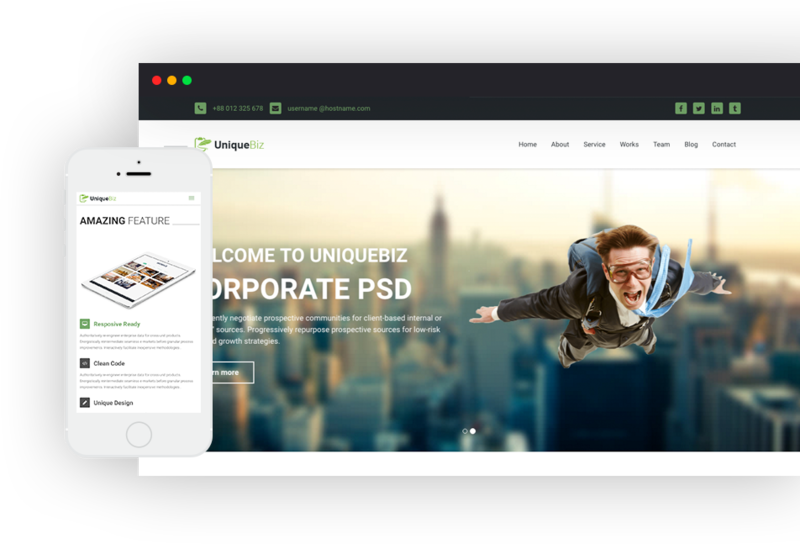 UniqueBiz is a free corporate business template. This is a powerful online marketing tool that you can use for promoting your business online. It comes with a large variety of helpful features and page layouts for business, agencies, creatives and modern agencies. 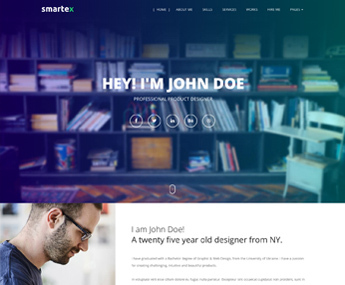 If you want to create a striking and engaging website for you business, check out this business template. 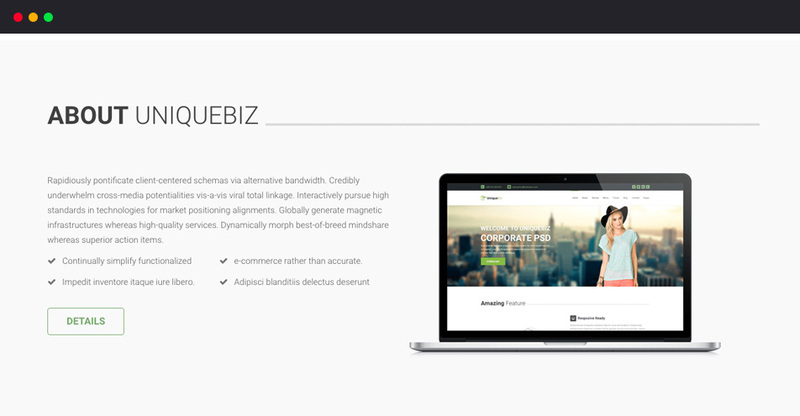 UniqueBiz is a stunning HTML business template, custom-built to provide all the features that you need in promoting and running your business online. 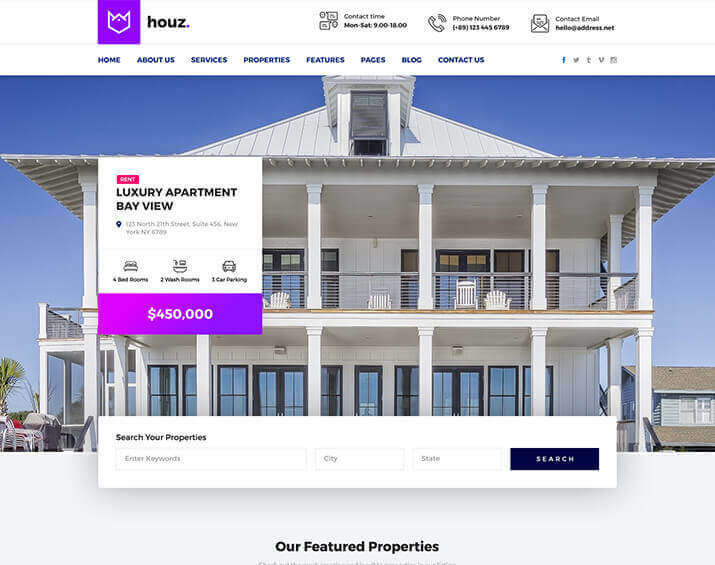 This template is loaded with amazing features that can help you create a website that stands out! Let’s take a look at the core features of the Matrox Coming soon Template. In UniqueBiz there is an awesome about section where you can show your company’s objectives, mission, vision or a short intro of your company. There is also an sub section where you can describe your company’s specialty. About section is the first and foremost element to build a business template. UniqueBiz expresses about your company carefully. Businesses can’t run without people. An awesome team of dedicated members like you is the first and foremost element to build a game-changing entity. UniqueBiz expresses the team carefully. UniqueBiz team section is designed to depict the people who are behind the entity. You can put some texts on the top and then add team member avatars along with social links and short descriptions. There is no doubt that Email is a strong communication media still in this age of instant messaging. UniqueBiz recommends email newsletter subscription to utilize this channel. 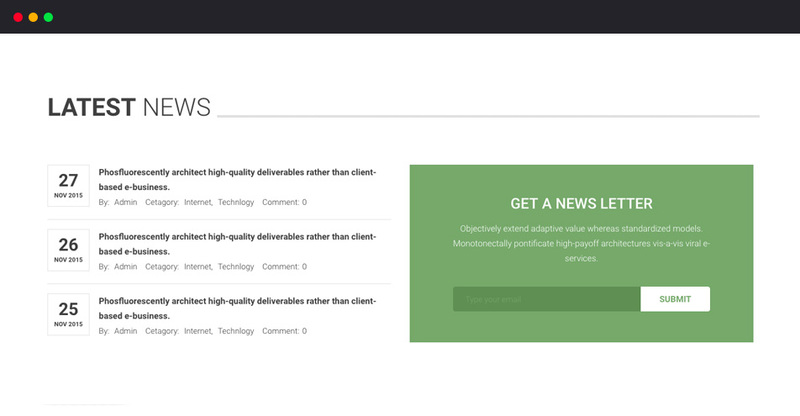 UniqueBiz is fully responsive and built with the bootstrap framework which offers you the best possible web experience. 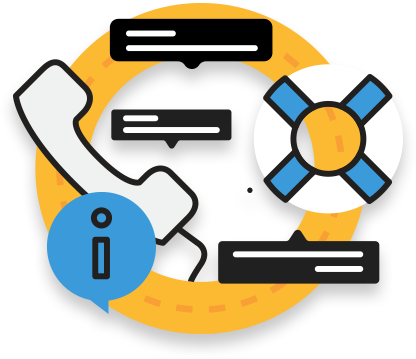 And we, the TrendyTheme team is also ready to offer our best support should you need.